Is your motto have hearing aid will travel? If so, you probably already have a game plan in mind each time you take a vacation. If this is your first time hitting the road with a hearing aid, though, try to remember that planning ahead is the best way to protect and maintain the device while you travel. Consider some travel tips that will ensure you and your hearing aid stay safe and have a great time on your next vacation. No matter how well you organize your trip or even how you get from place to place, travel is chaotic. That is true whether you are on a road trip, take a plane with your family or are riding the rails. Chaos breeds stress, and, when you are stressed, it’s easy to miss important details like how to care for your hearing aid. Before you leave, develop a list of all the stuff you need to take with you and make sure extra batteries for your hearing aid is on the top of it. If your hearing aid comes with rechargeable batteries then bring along an extra charging station in case yours gets lost along the way. If you are traveling and are required to check your luggage carry batteries or that extra charger on you in case your bags get lost. Pack a few of Bluetooth accessories in your luggage, too. They are a big help if you should lose or damage your hearing aid on the road. The mic on a Bluetooth device can help you talk to people in a pinch. If a plane is your chosen mode of transportation, plan to wear your hearing aids all the way to your destination. You should carry the case, batteries and cleaning supplies in your carry on, so they are easy to get to if you need them. When going through security, leave your hearing aids in your ears. When it comes time to go through the body scanner, tell them that you have a hearing aid in, so they don’t think you are hiding anything. If they ask you to take it out so they can examine it, you should comply but they may just let you go through with it in place. While flying, you might find hearing is more difficult even while wearing with your hearing aid. The noise can overwhelm the device, so use other tricks to understand what is going on like visual cues. Try putting a Bluetooth device in one ear if you are struggling, too. The remote mic will pick up conversation better while you are in the air than your hearing aid. Your hearing aids are critical for vacation enjoyment, but you need to think ahead just in case they go missing or break during your trip. You need to find other ways to accommodate your hearing loss when are not wearing them, too, like at night. If you are staying at a hotel, ask about adaptive equipment designed for the hearing impaired. Some offer rooms that include lights that flash when the phone rings or in case the fire alarm goes off. Keep detailed information with you at all times like your itinerary and emergency contacts. A written itinerary makes checking in to your hotel easier because you’ll probably be tired and understanding the clerk will be a struggle even with your hearing aid. 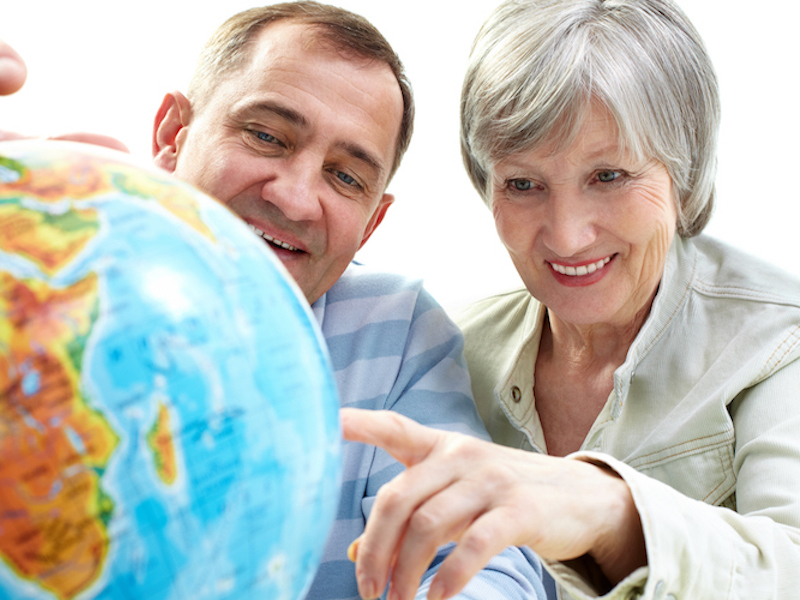 Do your homework before you leave to learn more about the areas you visit, and, especially if there is a certified hearing aid retailer nearby. This way if something does happen and you need to get your hearing aid repaired or even replaced, you already know where to go for help. Have hearing aid will travel? Absolutely! Don’t let your hearing issues change the way you live on the road. There is no reason you can’t go out and enjoy your vacation just like anyone. Go ahead and plan that dream adventure just think ahead, so you hear every minute of the fun. Click to download a Financing Application or visit our partner to apply online. Call us today at 587-410-7391 or send in this form now.